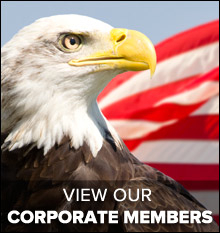 Stan Lenox – AUSA 4th Region State President – Central / East Texas (and Immediate Past Chapter President) administered the oath of office to Sergeant Major Dewayne Naumann – Chapter President and Major General Robert Halverson, USA-Ret – 1st Vice President. The new chapter President then administered the oath of office to the appointed members of the Executive Committee. 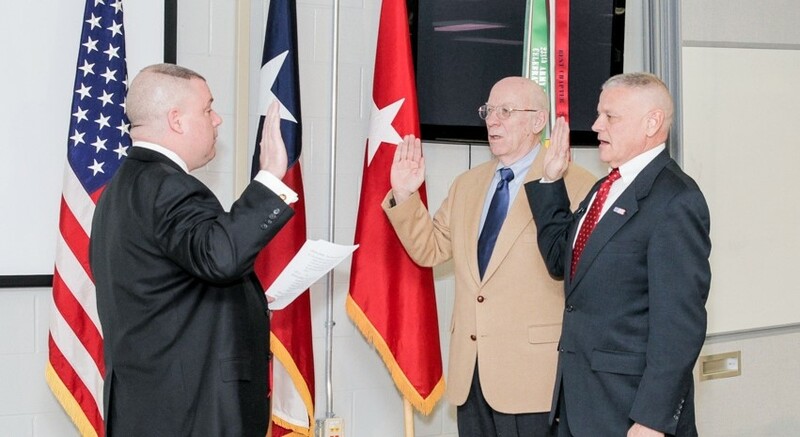 Stan Lenox – 4th Region State President – Central / East Texas administers the oath of office to SGM Dewayne Naumann – Chapter President (right) and MG(R) Bob Halverson – 1st Vice President (center).